Welcome to the haunted hovels section of Haunted places in Montana. Please select a link below to view information on that location. Inside this high school you can find pictures that date back to the 1920's. common belief is that a girl that attended the school during its early years committed suicide in the shower's of the girls’ locker room. Several reports from different people say they heard screams while they where walking the halls at night, or along the path ways's outside. Several of the students have also said they have felt cold drafts in the water that moves from shower to shower starting from the back to the front. To this day the screams can still be heard. In around the 1940's a plan crashed in Billings and they didnt have any room to put the bodies in the funeral home morgue. So they had to resort to putting the bodies in the fridge at the old convinience shop, that is just by the train station. A World War II solider was said to be one of the people who died in the crash. This old building now is a large two floor antique shop. People haev reported seeing what they describe an old World War II solider walking around the shop at times, but when they have gone near him he has vanished right before their eyes. This restaurant was built on top of the old railroad tracks, they can still be seen behind the restaurant in the car park. There are stories from different employees as to what has been witnessed. 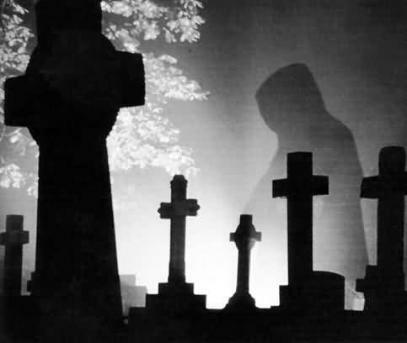 They say that late at night shadows have been seen, and strange voices have been heard when no one is around. Every morning at around 2:30 one of the lifts calls the front desk, and when the person at the front desk answers the phone there is no one on the other line. The front desk clerk and the security guard have then looked in the elevator to find there is no one inside. Finally after this had been going on for several days the front desk clerk decided it would be best to call the elevator at 2:30, someone picked up the phone, and again there was no one on the end of the line and when they inspected it again there was no one inside. upon entering this shop you will find that there is a large mirror above the front door that runs along the whole wall so that the employees can see customers in the shop and when other employees may need help. On several different occasions employees have seen people inside the shop but when they have gone out to the shop floor to greet them, they have disappeared. Reports say that inside the old fire station, in the basement there have been over 200 seperate reports of ghost sightings since the archives were started, its not just a once in a while experience every time someone has gone into the basement, or into the far room, in this instance many people have seen a group of old firefighters playing a game of poker on the wall, along with a few other roaming spirits, experiences have ranged from fire alarms going off even with no power running to them, rolling cases slamming together all throughout the night, to books being hurled across the room. This haunting is definitely not to be taken lightly. Also one of the most peculiar events ever being reported happening more than once is a respectable elderly woman walked into the reading room, the police report states 'It felt like they walked into a warm pillow' but when she got into the room it was no longer the reading room, but had turned into a ball room filled with fire fighters in formal wear. When the police arrived one of them said the same thing that 'it was like walking into a warm pillow' and sure enough there was a ballroom. Witnesses tell stories of doors opening and closing and will then be found locked when no one has touched them. Also that one of the rooms is always around 53 degrees, even though the rest of the mansion is warmer. This power plant produces massive amounts of electrical energy in which all kinds of spirits have been seen. They have usually been seen at night around the spider web like power lines and transistors. Usually when the air is full of static electricity you can just wait and see these shadow like figures going from transistor to transistor for some unknown reason. The most common things that have been reported are rambling voices talking next to a person or just passing them asthough it was a real person. Sometimes peoples belongings have disappeared in a place where they are alone onlt to be found in a completely wrong place, for example, another part of the plant just sitting in plain site. The men that work there have become so used to these encounters that it has become something they just accept that will happen once in a while. The last prisoners to reside here were taken to a new prison in 1979-1980. The montana old prison had been in use through the 1800's for many brutal outlaws of the time. The gallows room has many a strange sound and a cold presence. The hole, that consists of a small sub-chambered room that is intensely cold and houses four or five small cells, one in particular, first one on the left, is very cold and also has a foul odor, with an evil threatening presence, and people have been known to be pushed back up the stairs trying to leave the room as though to keep them going much faster than they would choose to walk. There are reports of a full 'ghost town' in the hills of Montana that was originally created as a mining town. After a fire caught hold of the hotel there, many people started to move out. The houses and buildings have been wonderfully preserved and the original hotel that caught fire still stands and has little fire damage. Spirits have been felt all over this town, but especially in the hotel, on the second floor. Witnesses say if you go up the stairs, walk straight towards the wall without turning, and then look to your left, the open door there is where one of the spirits resides. Beware though, because apparently this spirit is not nice, although there have not been any solid reports to say that it has harmed anyone. Stories tell of the wandering ghost of a Native American. Many people have claimed to have seen him. Although one eyewitness' statement includes the story of a woman that was driving out of Great Falls one evening. She saw someone in the road and heard a thump. The woman had thought that she had hit the person, but when she got out of her car, there was no one there. Once she got back into her car and started to drive away, she looked in the rear view mirror and saw him walking along the road again. Reportedly the three floors above this old bar are home to twelve different spirits or possibly more. This is a very old building, and as such has lots of history. The upper floors were at one time a hotel, then after the hotel closed, it was used for years by passing vagrants and drifters, some of whom supposedly died up there. It is said to be very eerie up there, and supposedly it looks like something out of a horror movie. The old man that used to own this hotel and restaurant used to sit on one of the top floors and look out from a window while sitting in his rocking chair at the Musselshell River. After he passed away they put the chair in a storage closet, but almost every time it would end up back at the window, even when they had locked the door. Maids have reported that when they are cleaning, someone or something has pulled at their hair playfully also they have heard someone walking in the hall. Legend tells that a priest committed suicide by jumping from the fourth floor bathroom window of Saint Charles Hall, which is one of the dormitories on the campus. Not long after the suicide, one of the varsity basketball players, who lived on that floor, slipped and cracked his head open in the same bathroom. Sadly, he died from the injury. The school then closed the bathroom. Years later, there were reports of blood flowing from the sink in that bathroom, even though the pipes were disconnected from the wall. The bathroom still remains locked to this day. Stories say that many years ago the balcony in the school gym collapsed, killing 7 kids. Since then there have been reports of feeling suddenly cold in the area and also being able to see white shadowy figures. These incidents happen at least once a month. Currently they are building a new middle school is and this one is planned to be evacuated next year. During the spring, when thunderstorms are rumbling overhead, and lightning flashes lighting up the dark midnight sky, a shadow of a figure looking down, wearing what looks like a hooded poncho that is blowing, and waving in the wind, can be seen drifting or floating with no feet around the RV Park. Before the RV Park was built, in the late 1960s with anticipation, and the start of construction on the Libby Dam, this place was called the Riverside Inn. It was a steak house, petrol station, mobile home park, and mobile motel (house of ill repute). Construction workers and others gathered here after work to let loose, and do whatever they plaesed. It is said that vagrants, and squatters called the Riverside Inn home. They camped in the woods behind the Inn with hopes of landing a job on the Dam. A few years after the Libby Dam was completed, the Riverside Inn burned down, and was never rebuilt. No one knows what happened to the people who never managed to get a job, how they survived with little or no food, also how they dealt with the harsh winter weather in Montana. Many believe that this could be the spirit of one of those vagrants, still hoping for a chance to get a job working on the dam. Many people believe that these old mine shafts are haunted. Strange voices have been herd in the various openings to the shaft, also several survivors of a tragic mining accident have visited the site and claimed to have heard their friends and co-workers screaming for help. A young man with a long beard and wearing fur traders' attire haunts the sanctuary of this chapel. He has often been seen sitting in the seventh pew. He holds a bible and then drops it loudly. An old Piano plays on its own. It is rumored to be playing 'All the ends of the Earth'. There are many reports of fridge doors opening and closing at night, cold drafts in the toilets also equipment turning on and off by itself. The ghost is believed to be that of an old man named Dave who had a small station on the site years before. He is said to have died in the station of a heart attack. This theatre is haunted by a poltergeist named 'George'. They say that if he likes the production, he will prompt the actors, however if he does not like it, he throws the storyboards around. The reports say this building is haunted by a victim of the Wall Street crash of 1929. When the family ranch was lost, a female student took her own life, and as such she never graduated, her spirit is said to be waiting for that day. This place is home to many occurrences that cannot be explained. There have been numerous reports of ghost hauntings, UFO's, and even of 'Bigfoot'. But what really stands out is the reports of 'little people'. They have often been seen at night all over the reservation, but mainly around the Haystack area. There are three floors in this school but one is abandoned. It is said that a girl that went to the school hung herself in a classroom. A few years after that they reopened the floor and the care taker was cleaning, when she looked over the girl's spirit was coming towards her. A couple of the other care takers said that they saw her and could hear her crying.